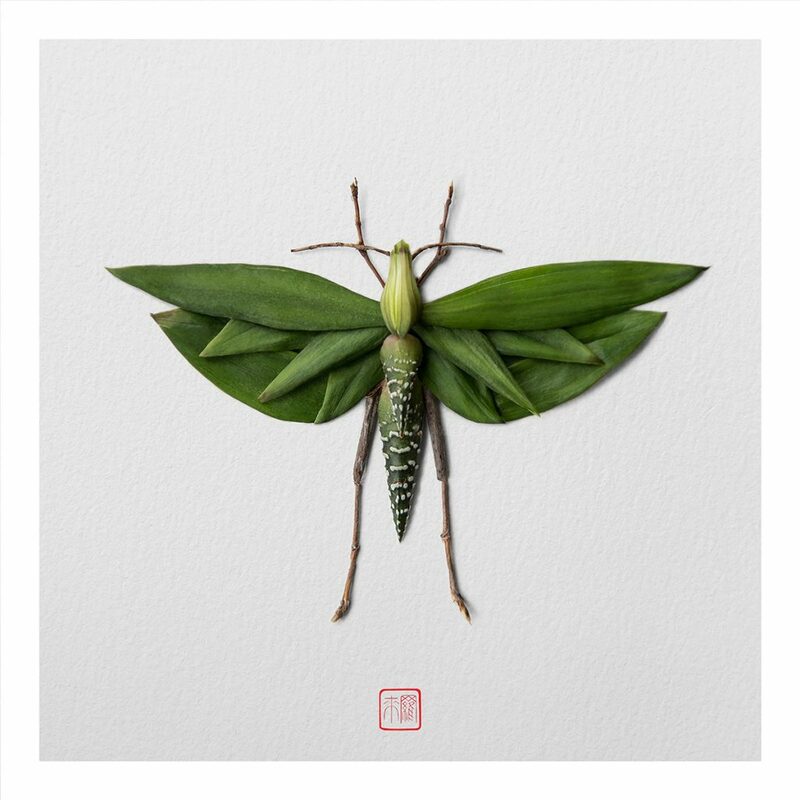 In his continuous art series titled Natura Insects, multimedia and apparel designer Raku Inoue spins a fresh take on an ancient art form, through the creation of fascinating flower arrangements. 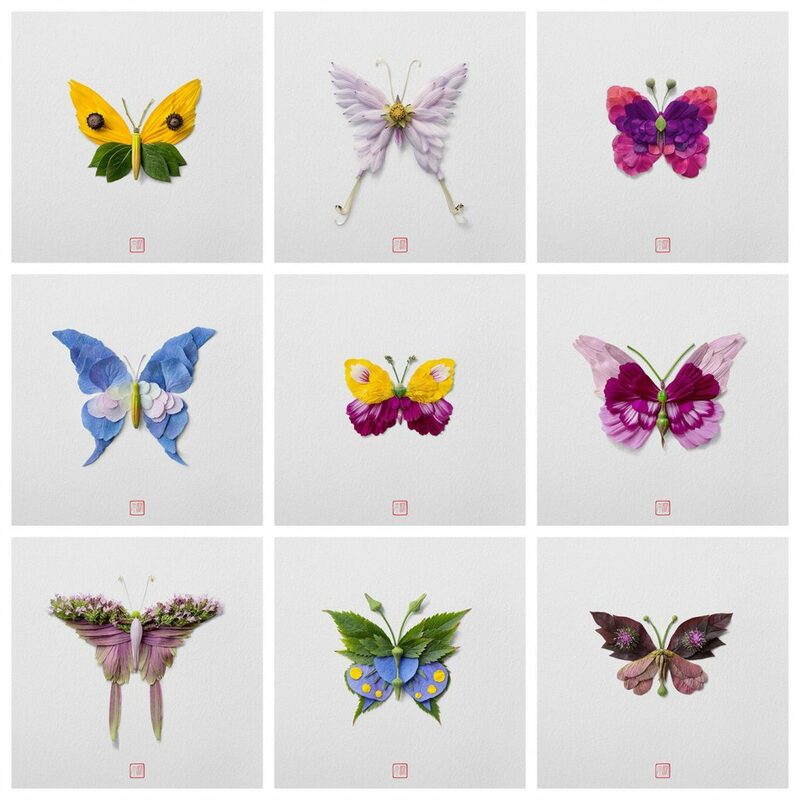 These intricate constructions consist of butterflies, praying mantis, stag beetles, and many more. 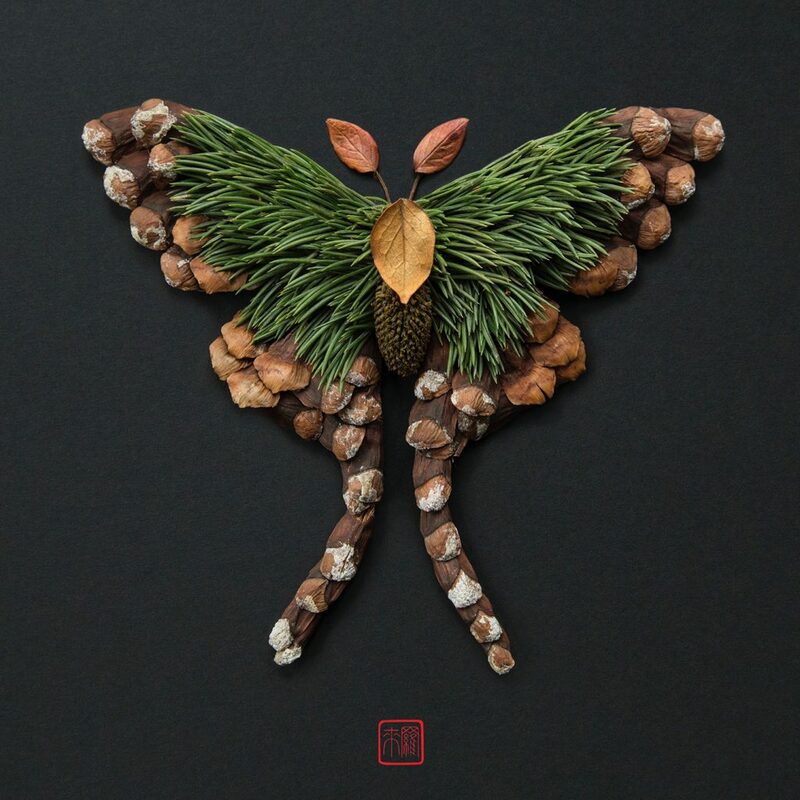 This creative designer has mastered the delicate practice of Ikebana – also known as ‘living flowers’, a traditional Japanese art form of arranging flowers. “Ikebana” is from the Japanese ikeru (keep alive, arrange flowers, living) and hana (flower). Possible translations include “giving life to flowers” and “arranging flowers”. What sparked his idea of modern ikebana crafts was to find freedom in cultivating creative expression, apart from the demands of ad agency work. Raku initially started out with his project by shooting the detailed and meticulously put together flower compositions with his cellphone, but later moved on to using a Canon 6D once his incredible visual arrangements went viral. What truly makes this Montreal-based designer’s work stand out is the use of materials from bits and pieces of flower petals and various plants, with themes depending on the season. Found after a rainy or windy day, Raku collects these natural materials from all around his garden. Exercising his creative freedom, Raku’s nature-themed sculptures stemmed from making use of what he already had around him in abundance to carefully construct something new and visually appealing. 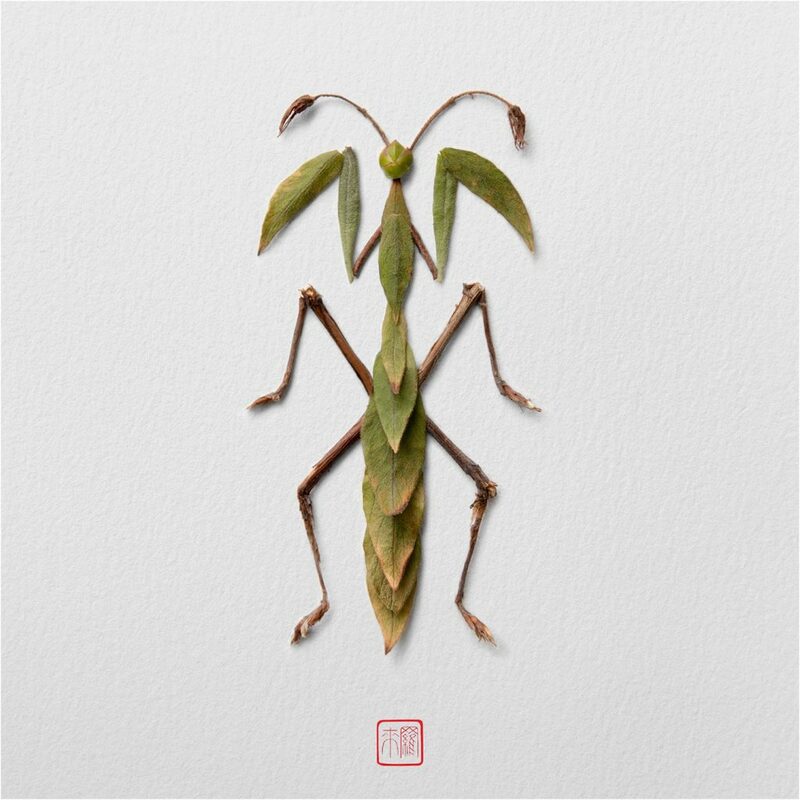 In the more recent installments to his Natura Insects series, Raku’s main inspiration comes from road tripping around the USA. 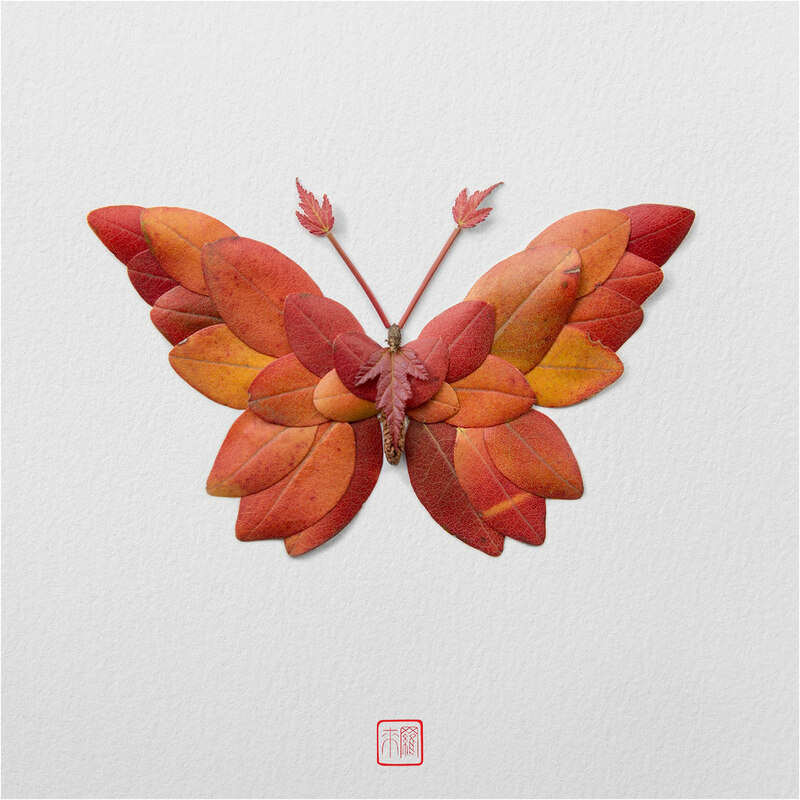 Get inspired by more beautiful flower creations from Raku Inoue on his Instagram. If you’re curious about the art of ikebana, why not try out this ancient art form yourself? For more inspiration on sculptures, check out street culture artist Haroshi.